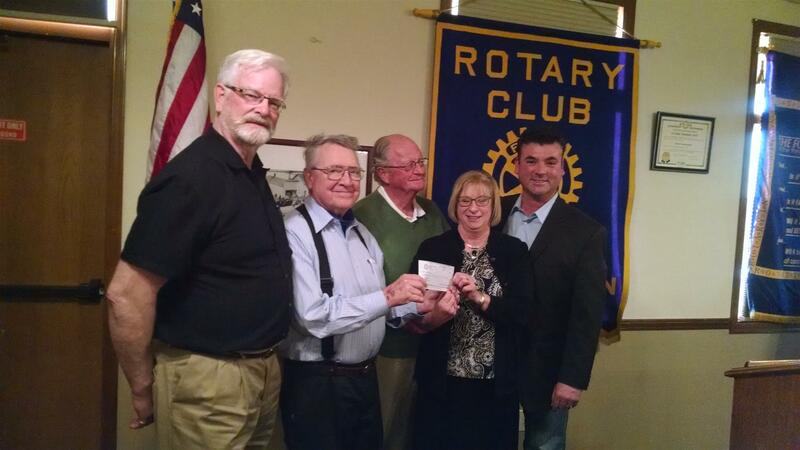 On Monday, March 16, 2015, the Rotary Club of La Conner made a donation to the new Conner Park project that is in beginning stages to the Parks Commission and the Town of La Conner as the Club's commitment to the Town of La Conner and local projects. The new park will be located on a scenic, grassy stretch of town-owned waterfront property just south of Rainbow Bridge. "The Rotary Club of La Conner is pleased to support the first phase of development of the new waterfront park with a contribution of $5,000," said President Marge Milnor. "These funds represent the dedicated efforts of our La Conner Rotarians who have a long history of supporting our community. We have a proud legacy of hard work that makes it so rewarding to be able to give back to this new park. It's a wonderful vision that will provide much enjoyment for children and families in the years to come."